HANG TIME NEW JERSEY — The Cleveland Cavaliers led the preseason in offensive efficiency, even though LeBron James, Kyrie Irving and Kevin Love only played together in two of their seven games. They’re a safe bet to lead the regular season in offensive efficiency too, and some smart people believe that they have a shot at being the most efficient offensive team in NBA history. When you have James, Irving, Love, and some guys that can knock down shots, you’re going to score a lot of points. You could probably take away Irving or Love and the Cavs would still finish with a top-three offense. But there’s one aspect of the Cleveland offense that I still have a question about. It’s regarding who else is on the floor, and how much space the Cavs will provide for one of the best finishers the league has ever seen. The above video is the first installment of “One Stat, One Play,” and it deals with James’ trips into the paint. HANG TIME HEADQUARTERS — Being one of LeBron James’ favorite teammates has its perks. Being able to play at a high level helps, too. Cleveland Cavaliers big man Anderson Varejao enjoys the best of both. And it could soon pay off in the form of a contract extension for the Brazilian import. Varejao and the Cavaliers are talking contract extension, per Adrian Wojnarowski of Yahoo! Sports. Cavaliers star LeBron James has a strong bond with Varejao, with whom he played six seasons before James left Cleveland in 2010 to sign with the Miami Heat. Cleveland coach David Blatt chose Varejao to start over Tristan Thompson to begin the season, and Varejao’s playoff experience promises to be an important part of the Cavs’ pursuit of a championship. Varejao is considered one of the NBA’s most aggressive rebounders and defenders, elements that’ll be vital in competing against the physicality of the Chicago Bulls in the Eastern Conference this season. After fighting injuries in recent seasons, Varejao played 65 games for Cleveland a season ago, averaging 8.4 points and 9.7 rebounds in 27 minutes a game. He will make $9.8 million in the final year of his deal. The Cavaliers open the season against the Knicks Thursday night on TNT (8 p.m. ET). Rondo possible for opener | No start, no extension for Cavs’ Thompson | Injuries put Magic development on hold | Pelicans pass on Rivers’ option? Rondo is expected to have the bone reevaluated by team doctors early next week and could gain the necessary clearance to participate in Wednesday’s season-opener against the Brooklyn Nets. Celtics president of basketball operations Danny Ainge said he knows Rondo is anxious, but the team won’t hesitate to put him on the floor once he’s cleared medically. Behind the scenes for Thompson, there’s not much happening. The deadline for the Cavaliers and Thompson to agree to a rookie-scale extension is Oct. 31. That’s less than a week away and sources close to the situation says, “There has been zero discussion on an extension” between the two sides. It’s no secret Thompson’s agent, Rich Paul of Klutch Sports, also represents the one guy responsible for the bright lights returning to Quicken Loans Arena with the Cavaliers boasting a league-high 29 national televised games. If a deal is not reached by the deadline, Thompson will become a restricted free agent in the summer of 2015. Cleveland would then retain the right to match an offer sheet to Thompson and they could also attempt to sign him themselves at that time. The knee injuries to Oladipo and Frye cost them the preseason and further complicate a brutally difficult start: 16 of the Magic’s first 23 games are on the road. The Magic had experimented with him at point guard, but drafting Elfrid Payton signaled the club’s intent to establish an Oladipo-Payton backcourt. Now that is on a longer hold. If Rivers’ option is not extended, he could become an unrestricted free agent next summer. A source said they decided to hold off exercising Rivers’ option because of salary cap concerns, especially if Eric Gordon decides to opt in to his contract next season that will pay him $15.5 million. The Pelicans also are expected to make a push this summer to re-sign center Omer Asik, whom they acquired in a trade last summer from the Houston Rockets. If the Pelicans had exercised the fourth-year option on Rivers’ contract, his salary would have increased from $2.4 million this season to $3.1 million for the 2015-16 season. Although he was a lottery pick, Pelicans coach Monty Williams said during training camp that Rivers remains a developing player. He is expected to be in a battle for minutes off the bench at both guard spots with Jimmer Fredette, who emerged in the preseason after signing a one-year contract with the franchise this summer. SOME RANDOM HEADLINES: The Knicks may have settled on a starting lineup … Lionel Hollins thinks Brook Lopez will be available for that Nets-Celtics opener in Boston … The Thunder’s Anthony Morrow is out 4-6 weeks with a sprained MCL in his left knee … The Lakers aren’t in a rush to add a point guard to replace Steve Nash … The Suns went to a three-PG lineup to beat the Jazz … and The Sixers got a 2019 second round pick for taking Marquis Teague‘s guaranteed contract off the Nets’ hands. GRANADA, SPAIN — Derrick Rose isn’t the only player looking to use the 2014 FIBA Basketball World Cup as a springboard to a healthier and more successful NBA season for a title contender. Cavs center Anderson Varejao would love to put some injury issues behind him as well. In the four years since LeBron James left Cleveland, Varejao, who turns 32 later this month, has averaged just 37 games per season, dealing with injuries to his upper and lower body. James is back and Kevin Love has arrived. With Kyrie Irving and a bunch of shooters, the Cavs’ offense should be ridiculously good. But their defense will ultimately determine how far they go, and Varejao will be a big part of their success on that end of the floor. With Mike Brown on the bench and Varejao playing 65 games last season, the Cavs improved from 27th to 17th in defensive efficiency. And they allowed 4.4 fewer points per 100 possessions with Varejao on the floor than they did with him on the bench. The Cavs lack rim protection, but the last two seasons in which they had James and (a healthy) Varejao together, they ranked in the top 10 defensively. Brown was the coach then. David Blatt, who has had strong defenses with the Russian National Team, is the coach now. As Blatt gets ready to put his new super team together on both ends of the floor, Varejao is in Spain with his Brazilian national team, a contender for a World Cup medal. Brazil is in a tough Group A, where it will play Spain on Monday (4 p.m. ET). In Granada, after a win over Iran on Saturday, Varejao spoke with NBA.com about his health and the upcoming season. NBA.com: How do you feel now compared to the last couple of years? Varejao: I feel pretty good. I feel like I’m 100 percent. I feel like I’m moving a lot better. I’m healthy. I feel like I’m in shape. So this helps a lot. Does this tournament really help you get your legs back and get back in basketball shape? Varejao: Yes, it does. I believe the preparation that we had was about 40 days. And now we have the tournament. I just want to stay healthy. How do you look back at the last four years, not only not playing with LeBron, but not being able to play a full season? Varejao: Tough four years for me. It was very tough on me. It wasn’t easy, because every year that I was doing well, people were talking about All-Star, this and that, and then I would get hurt. So it wasn’t easy, but it’s all past now. The good thing is that I’m in shape, I’m healthy, and I’m looking forward to the next season. How good can the Cavs be defensively? Varejao: To me, defense is all about effort. If we put effort in, I believe we could do really well. Have you talked to David Blatt? Varejao: I did when he signed. I spoke with him during the soccer World Cup. I was in Brazil and he called me. I spoke with him once. Varejao: I know that he’s a winner. He won the Euroleague last year. When he was with Russia he beat Brazil in the Olympics. With six seconds left in the game, they beat us. He’s a good coach. He’s a winner. Everybody that I asked about him said good things about him. Anthony Parker played for him [at Maccabi Tel Aviv]. He said he’s one of the best human beings that he’s met and he’s a great coach. Do you feel like you fit pretty well with Kevin Love on the frontline? Varejao: I feel like I have to do what I always did when I played with LeBron, set screens, roll to the basket, be ready whenever I have a chance to go to the basket, play defense and rebound. Getting booed at United Center was better than getting booed at the HSBC Arena in Rio de Janeiro. At least it was for Nene. Last October, when the Washington Wizards played the Chicago Bulls in Rio in one of the NBA’s preseason global games – and the first staged in South America – the Wizards big man took loud and cutting heat from the sellout crowd. No matter that he was the first player from Brazil to participate in the NBA – people were unhappy that Nene had played only twice for the country’s national team since he was drafted in 2002. It mattered little to them that the 6-foot-9, 260-pound fellow – listed on the official roster in last Saturday’s game vs. the United States by his full name, Maybyner Rodney Hilario – had aggravated a foot injury in the 2012 Olympics that lingered into the regular season. Nene also reportedly had been at odds with the program over insurance policies and other decisions. So the fans in Rio booed him pretty much from start to finish. Legendary Brazilian player and Hall of Famer Oscar Schmidt criticized him, and Nene bristled back – and clearly was rattled – on that awkward night in October. What he heard Saturday then, by comparison, was a breeze. Nene was booed during the introductions for Brazil’s game against Team USA, the first tuneup for both squads for the 2014 FIBA World Cup tournament that begins Aug. 30 in Spain. And that reaction was driven by respect from Bulls fans who recalled his work (17.8 ppg, 54.8 percent shooting, a one-game suspension for headbutting Jimmy Butler) in the teams’ first-round series last spring, won by the Wizards in five games. But that was it. The rest of the evening was straight basketball, with Nene scoring eight of his 11 points in the first half, to go with five rebounds, three steals and one block in 19 minutes. Even after Brazil lost 95-78, the big man was effusive as he came off the court. What, Nene was asked, did he think of Anthony Davis, the young New Orleans center who dominated (20 points, eight boards five rebounds) at both ends? 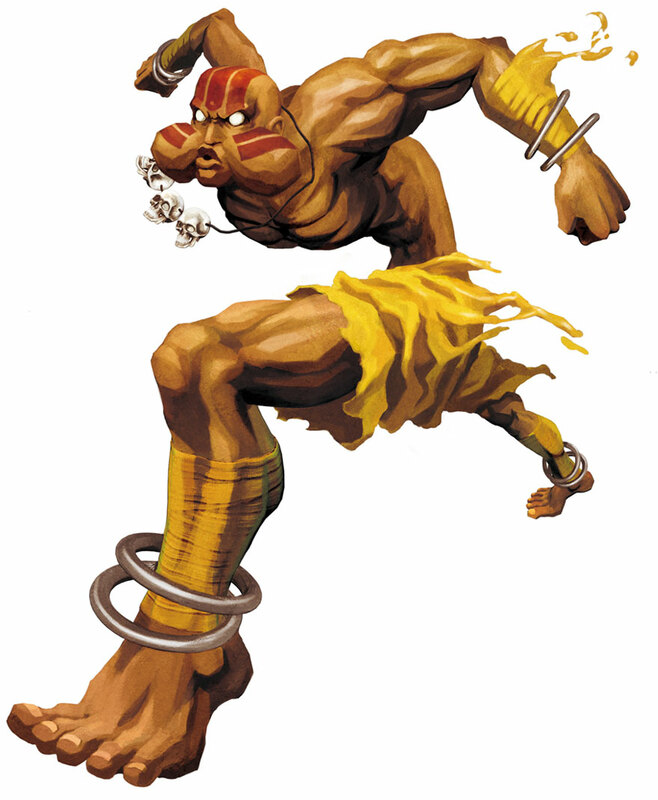 “He looked like Dhalsim,” Nene said. It was a disappointing night for Brazil, which lost the street fight. It wasn’t able to flex what some figured to be an advantage up front, with Nene lined up in various combinations with Tiago Splitter and Anderson Varejao, two more proven NBA bigs. Davis went MMA underneath and Kenneth Faried, who backfilled in Denver after the Nuggets traded Nene to Washington, added 11 points and nine rebounds. Team USA had superior wings and guards, but the onus will still be on Brazil’s front line when, after playing France in its World Cup opener Aug. 30, it faces Spain – and the Gasol brothers, Pau and Marc – two days later. Having Nene – who will turn 32 on Sept. 13 and has two years and $26 million left on his Wizards contract – clearly is better for Brazil than not having him. His NBA buddies made that clear when talking to the Wizards’ Monumental Network during their squad’s stay in Chicago. This much is clear: Not having a guy like Nene on Brazil’s roster is worse. Then he’s the one worrying about how he’s perceived, and how he’ll be be received, back home. In the U.S., players such as Kevin Durant, Kevin Love, LaMarcus Aldridge and other stars opting out of the competition have wiggle room because of the depth of talent. For Nene, opting out in the past meant squirming, not wiggling.